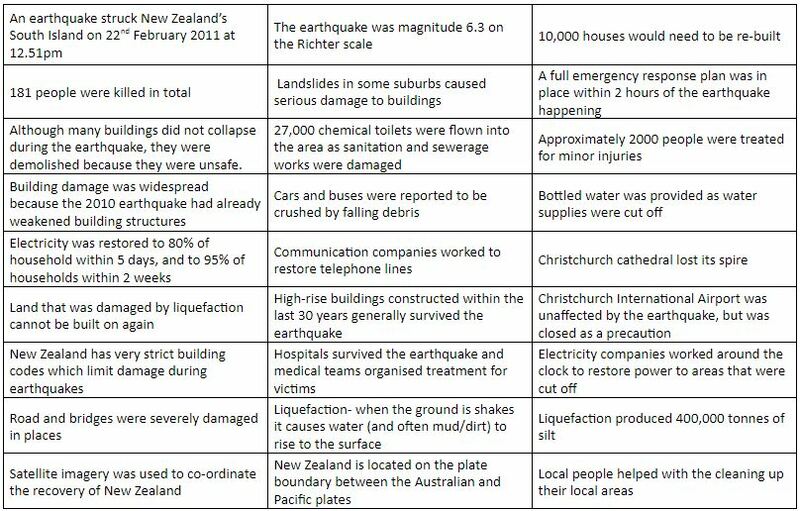 Tectonic Hazards Case Study 2: Christchurch, New Zealand, 22 February 2011. Case study of the management of an earthquake in a developed country. Discuss and make brief notes on your response to the image of the earthquake. How does it compare to images of the Haiti earthquake? How is your response similar/different? Where did the earthquake happen and why? 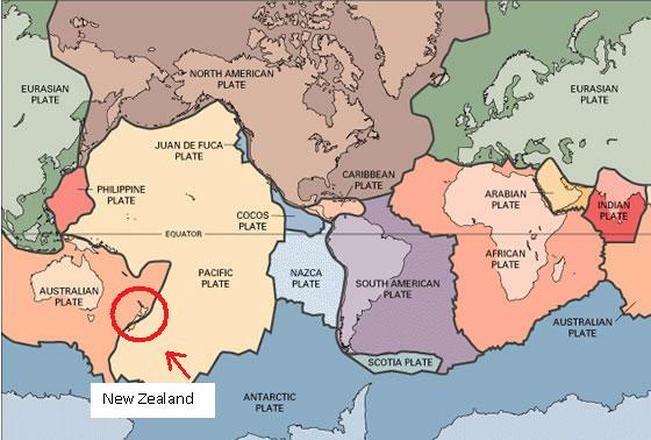 New Zealand lies on the boundary between the Pacific Plate and the Australian Plate. 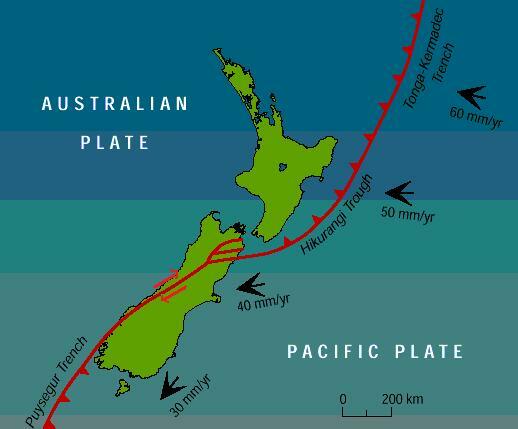 As the diagram below shows, the movement of the plates means that in the north a destructive boundary/subduction zone runs through the areas labelled Hikurangi Trough and Tonga-Kermadec Trench. On South Island, close to Christchurch, the two plates move in parallel to each other creating a conservative boundary. Click on the link below to see seismic activity in the Christchurch area on Tuesday 22 February 2011. Remember to check that you have selected the correct date! 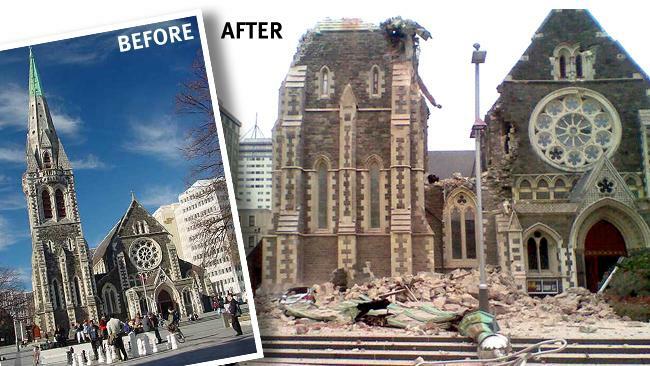 How many earthquakes struck Christchurch during this 24 hour period? How will aftershocks increase damage and affect rescue and recovery efforts? 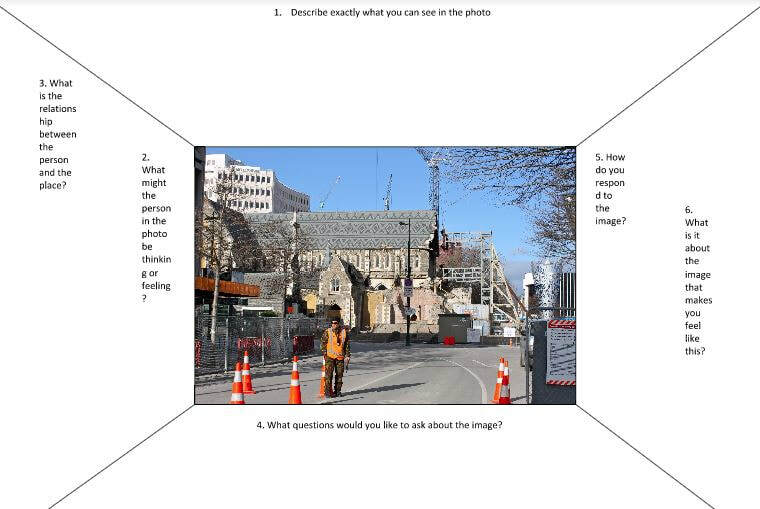 Use your material from the card sort and from the video below to complete the management/planning table for the Christchurch quake. With reference to named examples, explain why tectonic hazards may cause greater damage in LICs than in HICs. You should refer to names and located examples to support your argument. Credit will be given for the use of annotated maps and diagrams.